Whenever I am stitching away and find myself at a loss for ideas, I return to the design principle of Repeat and Vary. In visual design, repetition creates unity within a pattern, while variety develops interest. A quilt pattern that is too repetitive is boring. One that has too many design elements looks messy and chaotic. The best designs balance repetition and variety. In the little quilt above, I started with the tulips (See tutorial HERE) and then I repeated the spiral from the tulip, but combined it with a straight line stitching pattern (see Tutorial HERE). In addition, I repeated the tulip row, but varied it by stitching it in a smaller scale in the outer rows of the quilt. 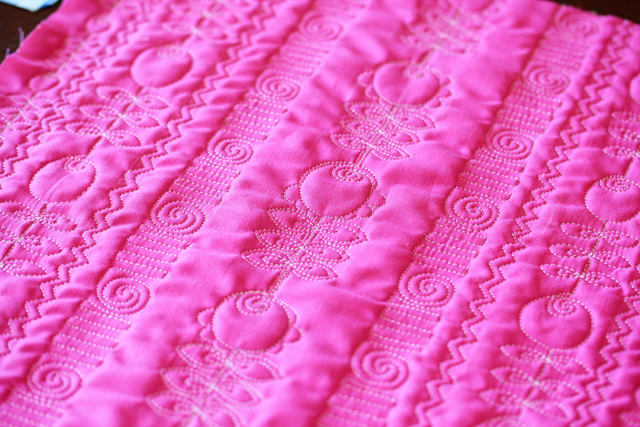 The Design Principle of Repeat and Vary is an easy one to incorporate into quilts as well as gardens, home decorations, etc. 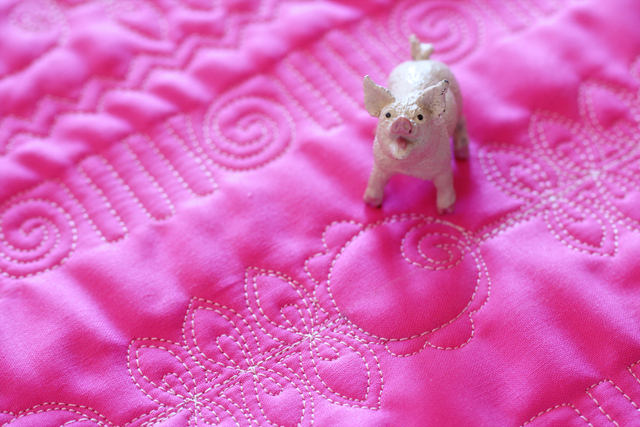 The next time you are struggling to plan your quilting–look for an element already in your quilt–and see if you can alter it — For example, if you have sewn a wedding ring quilt–stitch quilted rings in the border. 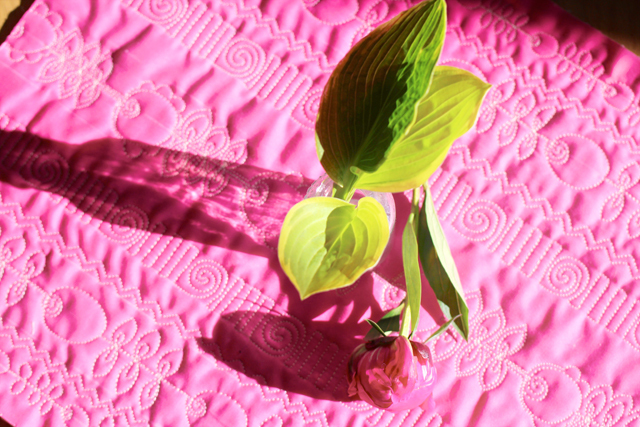 If your fabric is floral, copy that flower in your free motion quilting line. When you are at the Garden Center, consider adding two new flowers of the same color, but different forms to your garden. Maybe next time we should talk about Focal Point? I absolutely love how your mind works! Thank you, again, for sharing – it’s beautiful! 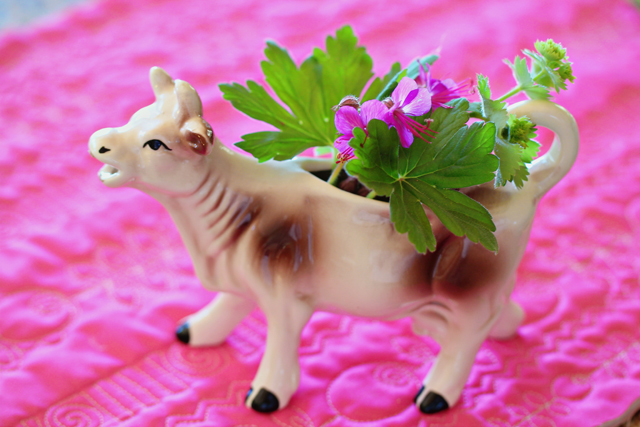 Love the antique cow cream pitcher–and the pig looks like a mini-Babe! Great photos. It is Babe! One of my favorite movies! Good call! Thank you for sharing that. You really inspire me. Thanks, Miss Lucie–you really inspire me! Thank you for sharing – I love your work, it is awesome.